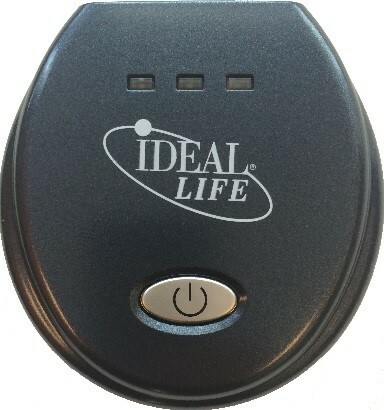 All the Ideal Life products – the patented, FDA-approved monitoring devices – communicate through a wireless gateway known as the IDEAL LIFE Pod™. Users simply plug the Pod into a regular telephone jack, connect to the internet or smartphones and their home is instantly ready for integrated, automatic communication with any of IDEAL LIFE’s remote health management products. A convenient and user-friendly glucose meter, the first of its kind to automatically and reliably store and send blood glucose readings without a personal computer. The Communication Enabler attaches to select glucose meter devices and will automatically and reliably store and send blood glucose readings without a personal computer. Click here to see the IDEAL Life 3rd Party Supported Products. An easy-to-use device that quickly and accurately measures upper arm blood pressure and heart rate. A body weight scale designed for both weight-conscious consumers and congestive heart failure (CHF) patients. This allows for convenient measuring of a user’s oxygen saturation and heart rate. The elegant, compact and small design makes it easy to carry and store. An elegant and uniquely designed multi-user tool to allow for quick and easy communication of health readings and timely access to health related information.